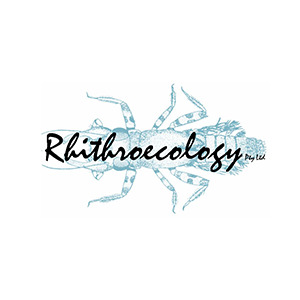 Rhithroecology is a boutique environmental consultancy company which, since 1993, has provided expertise to international agencies, Australian national and state government agencies and the private sector in environmental management, particularly of rivers and their catchments, and capacity building. A list of areas of capacity and publications of Dr Ian Campbell, the Principal, may be found at www.rhithroecology.com. The Mekong River Commission is conducting a study into the potential environmental, social and economic consequences of water resources developments such as hydropower dams on the lower Mekong mainstream. I am contributing expertise on the impacts of flow changes on aquatic invertebrates, and the economic valuation of aquatic invertebrates.,The water quality indices used by the Mekong River Commission in their water quality report cards required review and revision partly because the parameters being monitored under the Commission's water quality programme were being altered. I reviewed the indices and their use and proposed revised indices for future use.,As scientific adviser to Ok Tedi Mining Ltd I designed and supervised the conduct of the first investigations of phytoplankton in the Fly River using field fluorimetry. The results were unexpected and have recently been published in the peer reviewed literature: http://rdcu.be/vtIW,As senior international environment specialist at the Mekong River commission I designed and implemented the first full biomonitoring project in the lower Mekong River, incorporating sampling for invertebrates and a diatoms at over 50 sites in all four riparian countries. The project utilised international mentors working with local specialists from all countries.,As the senior international environment specialist at the Mekong River Commission I instigated, designed and provided technical oversight of the first State of the Basin Report for the lower Mekong River, produced in 2003.,I was the Long-Term Science Adviser, based in Bangkok, responsible for designing, developing and implementing a capacity building project component which provided training activities, principally from Australian academics, to academic staff in science faculties of 21 Thai government universities.